Hey peeps its been a little while since I've been on the forum, I hope you're all doing well! 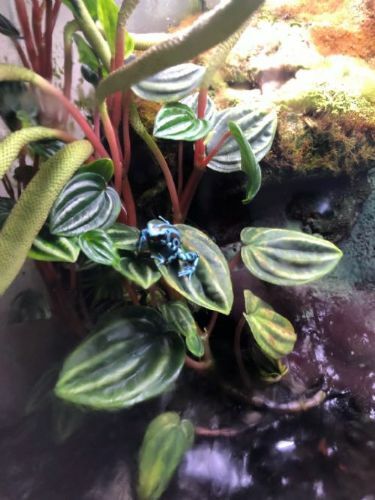 I've got this dart frog setup Im looking to sell. Currently housing two frogs that I've had for almost a year. both are healthy and eat well. substrate probably needs to be cleaned out a little bit but otherwise this is already setup and running. both Frogs are the same color. The tank dimensions are 17.75 inches by 17.75 inches by 18.75 inches tall. 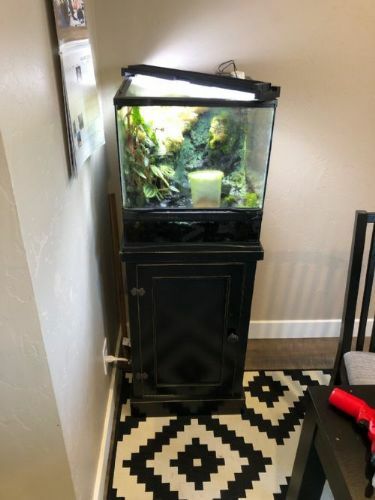 The tank and stand together are 50.75 inches. The stand was built by Richins Carpentry. Asking $200 OBO. must pick up. located in West Jordan. no trades. cash only please. text is best 801-916-5068. I k ow a vet that might be interested. Shoot me your info and iâ€™ll Pass it on to her.